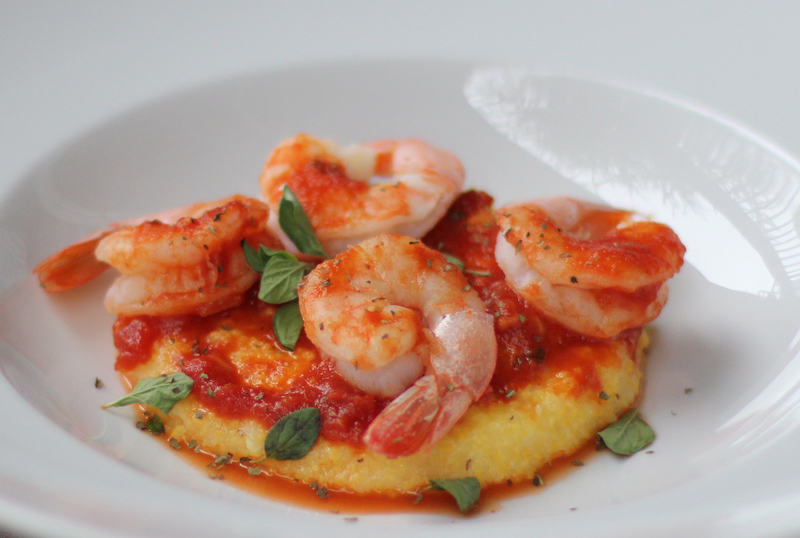 The ratio of this recipe is 1 cup firm polenta : 4 cups water. Adjust accordingly to the volume you are making. Boil the water on high heat and add a pinch of salt to taste per your own preferences. I use very little. Once the water is boiling, add in the polenta gradually, stirring with a wire whisk. Continue as the polenta starts to thicken. Cook for approximately 30 minutes, stirring periodically to make sure the polenta does not stick to the bottom of the pot. When all of the water is absorbed and it’s a nice thick consistency, you can spoon onto a plate. Boil about half a cup of the tomato sauce in a small saucepan. Meanwhile, boil the shrimp in a separate pot with a pinch of salt for about 2 minutes. Remove the shrimp from the pot and combine with the tomato sauce pot and boil it for about 2 more minutes. 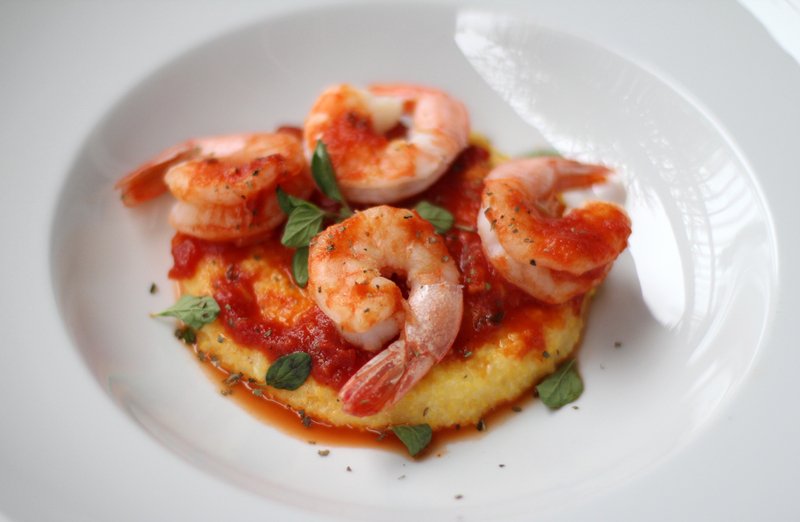 Remove from pot and spoon over your bed of polenta in step one. Season with pepper and your choice of herbs. Enjoy!